Posted in: 1964-2003. Tagged: 1964-2003, magazines, poster, programs, records, show. All issues are in VG condition with a some issues in VG+/NM & a couple in Good condition. 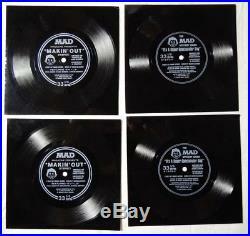 The records are in VG to VG+ condition. 1965: 8th Annual Ed. More Trash from Mad, March. 1966: June, April, 9th Annual Ed. 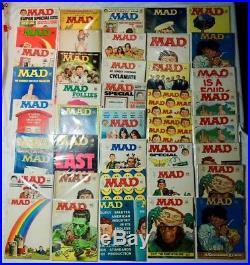 Of the Worst from Mad. 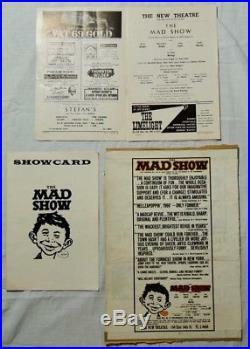 1967: 5th Annual Collection Mad Follies. 1971: Mad Special No. 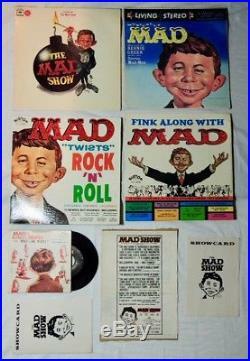 6, Oct, Sept, July, March, April, Jan, Dec. 1972: June, April, March, Mad Special No. 10, Jan (2 copies), Dec, Oct, Sept, July. 1973: Dec, March, Jan, June, March, July, Oct (2 copies), Dec, June, April. 1974: Dec, Oct, July, June, April, March, Jan, Super Special No. 1977: Sept, Special No. 1978: Sept, Dec, Super Special No. 1980: April, Jan, July, Super Special Summer. 1988: Winter Super Special; Jan. 1989: April, Sept, Winter Super Special. Sept, July, June, Jan. 1992: July, June, April, March, Jan. 1993: July, June, Oct, March, Jan, April. 2003: July Hulk Gets Mad & July Mad Gets Hulk (2 issues). Track Page Views With. Auctiva’s FREE Counter. 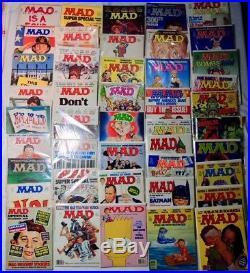 The item “Lot of 84 1964-2003 MAD Magazines, LP Records, 1966 Mad Show Poster & Programs” is in sale since Friday, December 22, 2017. This item is in the category “Collectibles\Comics\Magazines”. The seller is “aziomedia” and is located in Shallotte, NC. This item can be shipped to United States, Canada, United Kingdom, Denmark, Romania, Slovakia, Bulgaria, Czech republic, Finland, Hungary, Latvia, Lithuania, Malta, Estonia, Australia, Greece, Portugal, Cyprus, Slovenia, Japan, China, Sweden, South Korea, Indonesia, Taiwan, South africa, Thailand, Belgium, France, Hong Kong, Ireland, Netherlands, Poland, Spain, Italy, Germany, Austria, Israel, Mexico, New Zealand, Philippines, Singapore, Switzerland, Norway, Saudi arabia, Ukraine, United arab emirates, Qatar, Kuwait, Bahrain, Croatia, Malaysia, Brazil, Chile, Colombia, Costa rica, Panama, Trinidad and tobago, Guatemala, Honduras, Jamaica.